Game fishing is seen by many as the pinnacle of recreational fishing. Pitting yourself against the oceans gladiators – the biggest, angriest, craziest most beautiful fish that swim. Out there, they are at the top of the food chain. It takes patience, dedication and hard work to achieve consistent results. But as any game fisherman or woman knows, the effort pales in comparison to the reward. Close to the coastline of South West Rocks accumulate large shoals of bait fish, such as yellowtail and slimey mackerel. They congregate on the multitude of reefs and structure but also on current lines, rips and pressure points. This wealth of food attracts large predators like black marlin, striped marlin, wahoo, yellowfin tuna and mahi mahi (dolphin fish). They ride up and down the cobalt blue offshore flow known as the ‘East Australian Current’ (or E.A.C. for short). Only 12 nautical miles from the rocks lies the continental shelf, one of it’s closest points to the east coast. This ‘fish highway’ is basically a steep longitudinal drop off creating up wellings and turbulance. 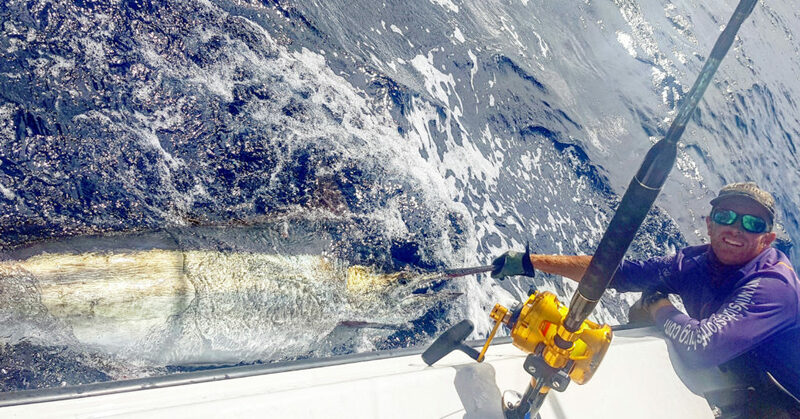 Marlin fishing in South West Rocks can be done as close as a hundred meters off the shore, or many nautical miles out to sea. Their presence relies entirely on the ever changing ocean currents, water temperature and food availability. Along the shelf, and relatively close to South West Rocks, are three deep canyons. On a marine chart they look like cracks split laterally into the side of the drop off’s steep edge. 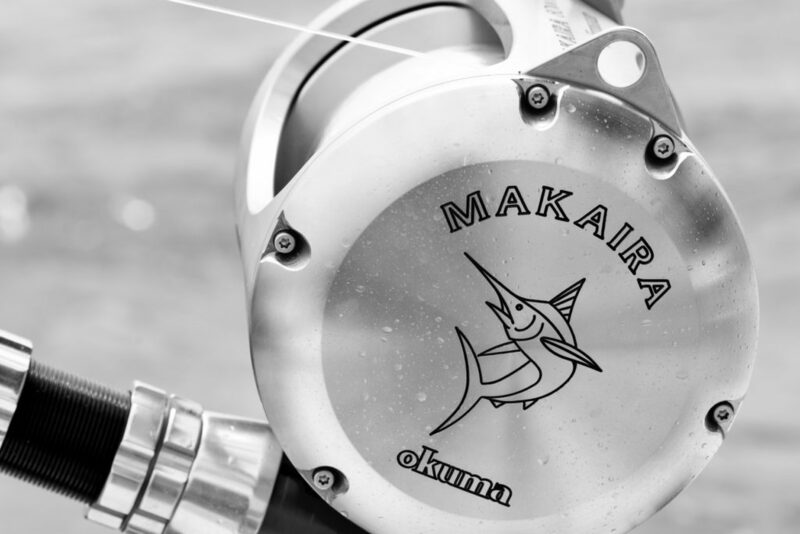 These are favoured hunting grounds for some of the greatest game fish of all – Pacific Blue Marlin. Blues are most often caught trolling large skirted lures at speed, covering ground. 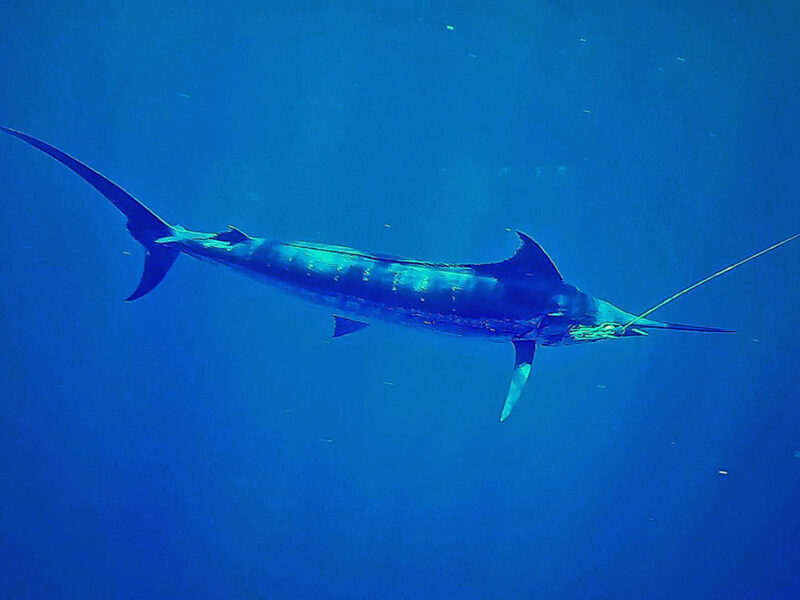 They are oceanic wanderers and considered the best fighting of all marlin species. Live bait is kept on board in case a fish is reluctant to eat, and requires ‘switching’ (bait pitched in place of a lure or teaser). 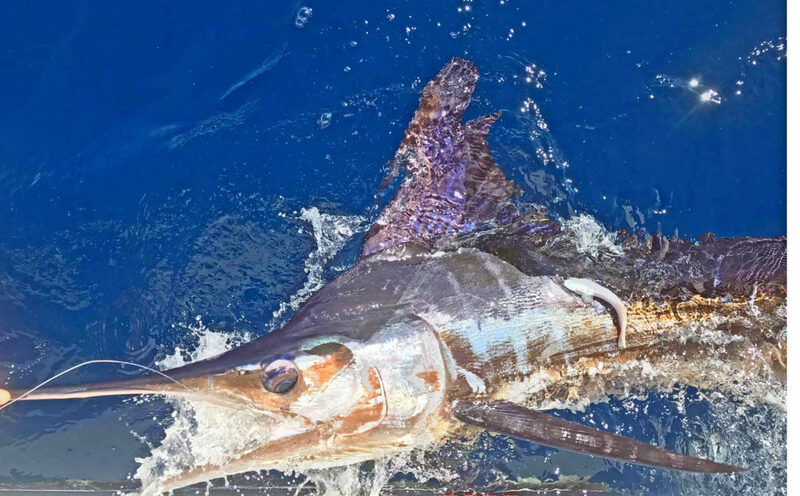 Another monster of the deep also inhabits these same grounds, Broadbill Swordfish.. Although ‘swords’ require very specific conditions to target with a rod and reel during daylight hours, new techniques are being developed by gun anglers all the time. It won’t be long before they become a viable option on the north coast. And it will be our mission to make it happen in South West Rocks! Stay tuned..
For a day Game Fishing South West Rocks using 24kg and 37kg stand up tackle we charge a boat rate of $1,500 inc. GST (per day up to four anglers in this price). ‘Wildside’ our Contender 25 Tournament. She is fast, comfortable and a purpose built sport fishing weapon! What to bring Game Fishing? charter today, and pit yourself against the oceans gladiators! For bookings or more info contact us.